LEGO WeDo is a robotics kit designed for younger students. 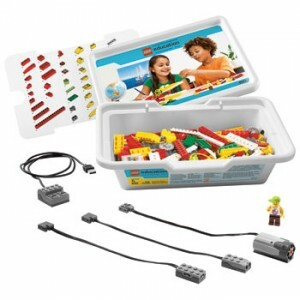 The original WeDo set was released in 2009. WeDo 2.0 was released at the beginning of 2016. The LEGO Education WeDo 2.0 Core Set (45300) contains 280 pieces, including a motor, and tilt sensor, and motion sensor. The WeDo 2.0 Software is available for desktops and tablets and is free to download. 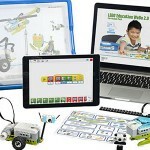 WeDo 2.0 features a programmable SmartHub that connects to a computer or tablet via Bluetooth Low Energy, meaning that there is no longer a need to physically tether creations to a computer (as was required with the original WeDo kit). The SmartHub is powered by either two AA batteries or a rechargeable battery pack (purchased separately). Links to download the WeDo 2.0 software can be found on LEGO Education Downloads. Curriculum support that is targeted to science and computing is available from within software. 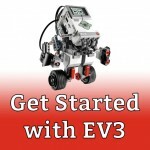 Additional curriculum materials are also available from LEGO Education. WeDo (1.0 and 2.0) can also be programmed using Scratch. The original LEGO WeDo Core Set (9580) has 158 pieces, including two sensors (tilt and motion), a motor, and a USB hub. Creations need to remain tethered to the computer for power and to follow a program. Although it is possible to untether the WeDo by powering the motor directly, it will not follow a program. Links to download the WeDo software can be found on LEGO Education Downloads. 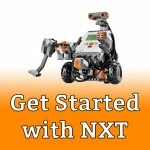 Browse all LEGO WeDo posts on this site.